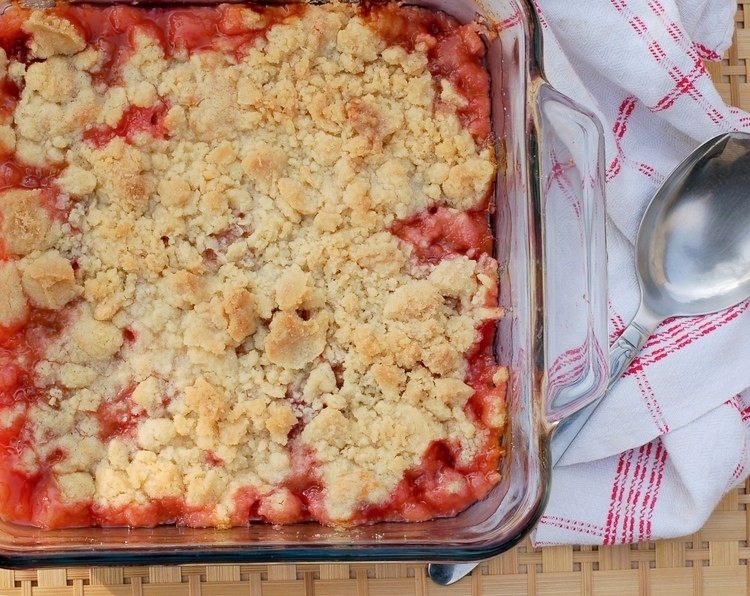 It is getting late in the season for rhubarb. The stalks are edible all summer long, but Spring is when it is at its juiciest, which got me thinking that a beverage would be a good way to offer this Spring flavor a send off for the season. One of my favorite flavor pairings for rhubarb is lime and the addition of thyme from my herb planter added that special something this drink needed. I was inspired to give this a try from my fellow rhubarb lover Sarah from Wisconsin from Scratch, who came up with a rhubarb ginger lemonade. Her technique of blending the raw rhubarb and squeezing the juice through cheesecloth sounded like a great way to set up the rhubarb base for this refreshing drink and it works like a charm for this recipe too. Vodka is a welcome addition for a cocktail version of this limeade. Add rhubarb, lime juice and thyme to a food processor and pulse until smooth. Transfer to a cheesecloth and squeeze over a bowl until all juice is released, you should have over a cup of juice. To a pitcher, add the juice, sugar and water and stir until sugar is dissolved. Chill in the refrigerator for an hour or so and serve with thyme sprig.